Enter your Dinastycoin Wallet Address!! The number of threads the miner should run on. Auto detect will try to detect the most optimal number based on CPU cores available on your computer. Disable checkbox if you want to adjust manually. If your hashrate is 0H/s double check that you entered correct wallet address! After you started mining you should see your results (hash rate, total hashes submitted and number of valid shares accepted by the pool). You should also see your results in your mining pool statistics. Adjust speed for optimal results. You can continue browsing in other tabs, webminer will work as long as tab is opened (only on Desktops). Webminer will prevent your mobile from sleeping (how smart is that!). Therefore we suggest to lower your screen brightness in order to minimize power usage. To maximize the mining speed try mining on a different browser. For example on same PC Chrome makes 25H/s while on Safari speed gets up to 31H/s! If you use Adblocker you might need to disable it so the miner can work. If you plan to keep webminer running overnight, setup Power settings of your computer to prevent automatic shutdown. 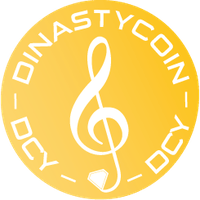 DinastyCoin is an anonymous and decentralized cryptocurrency, that is a secure digital currency with peer-to-peer methodology, not controlled by governments, banks or other institutions. It is a public and transparent system, managed and viewable by the entire Community without management by third parties. A real community for you to be the protagonist of your financial freedom. The DinastyCoins allow completely new uses, different from traditional payment systems. They can be used both for transactions between users of the DinastyCoin network and for the purchase of goods and services in the proprietary e-shop software platform available for free for our entire community of end users and merchants and in hundreds online and offline stores of the circuit in quickly and safely.